It is not known how and to what extent Ediacaran animals are related to modern animals. 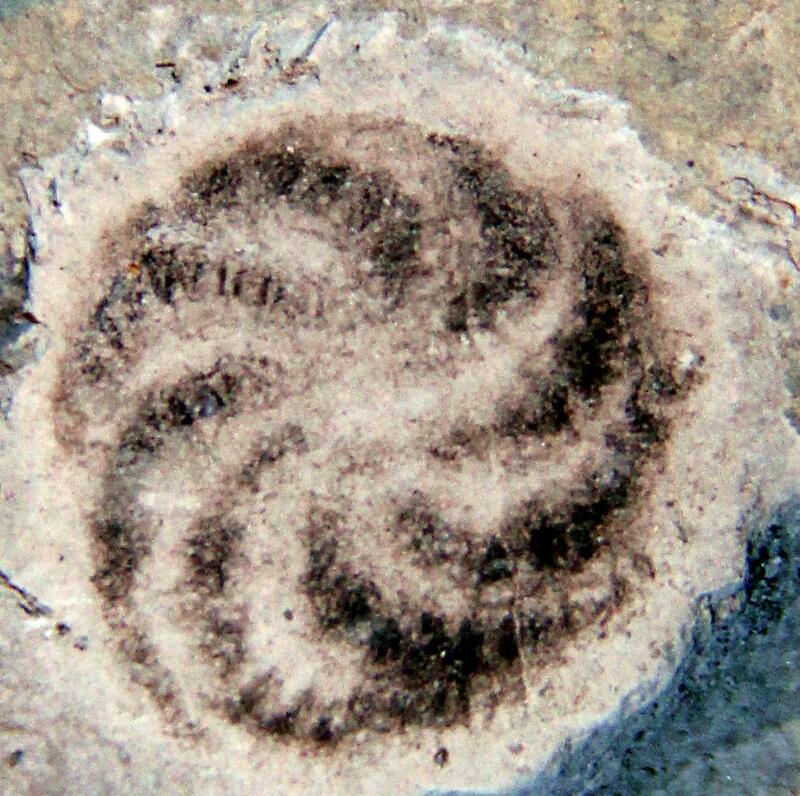 Some of the Ediacaran species resembled jellyfish, worms and corals; but others had no similarity to any animals that exist today. Perhaps the oldest known fossil of an animal? 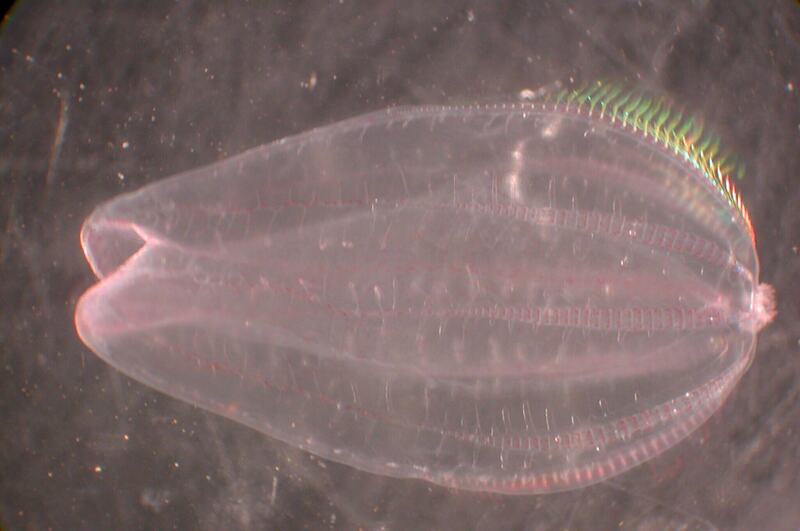 A comb jellyfish discovered in China and is ca. 550-580 million years old. 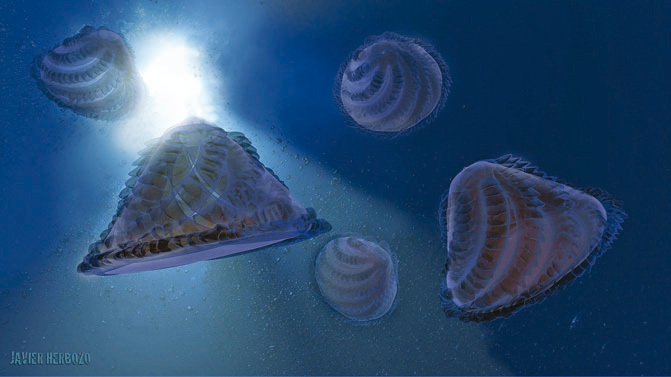 Reconstruction of the comb jellyfish above.